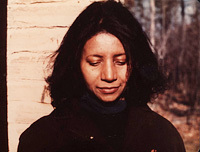 Dolores Kendrick, who launched her career in Washington, D.C's experimental poetry circles in the late 1950s, published Through the Ceiling with London-based Heritage Press in 1975. Scholars agree that Black Chicago decisively shaped 20th century African American and American culture. Home to the most advanced, Black-owned mass media network in the U.S. by mid-century, Chicago not only thrived as a mecca for the literary arts and sustained a cutting-edge visual arts scene, but Black Chicago transformed the blues, gospel, and avant garde jazz music as well. Evidence of this cultural ferment abounds in the city's numerous archives, museums and community institutions. However, these materials are hidden from the public's view: archivists' efforts to catalog such primary sources often can't keep pace with the amount of material that exists. Mapping the Stacks (MTS) aims to identify and organize uncatalogued archival collections that chronicle Black Chicago between the 1930s and 1970s, in order to increase their use by researchers and the general public. We work with varied kinds of artifacts: literary manuscripts and visual illustrations; rare books and home movies; correspondence and photographs; ephemera and tape-recorded sound. This website offers access to the finding aids we've prepared thus far and our plans for the years to come.